Wow – this museum is great. 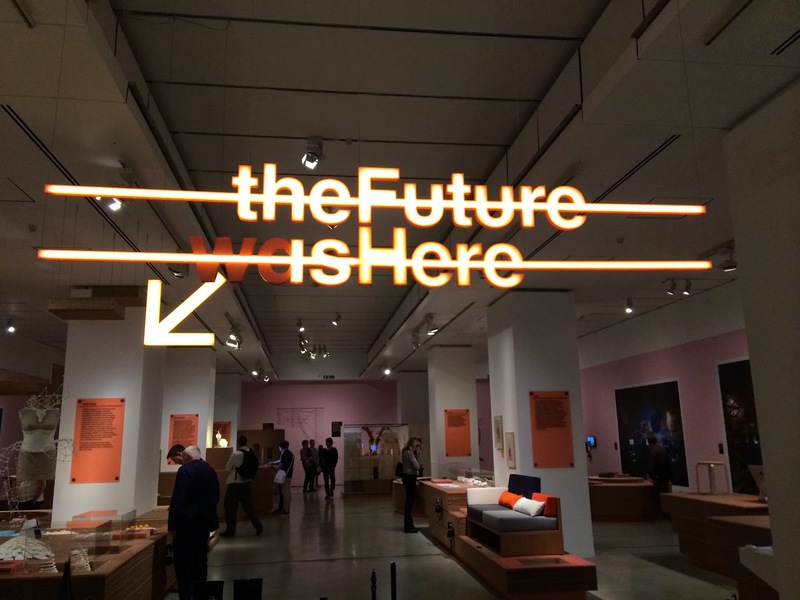 There were two main exhibitions within the building – both were brilliant. It explores the ways in which new technologies are changing the manufacturing and experience of products. There was a lot of talk about the democratisation of manufacturing, and what it will mean for people. Fabrication tools small enough to put on a desktop and affordable enough to use at home will open up a world of product-making and tinkering – a world where everyone can get involved. 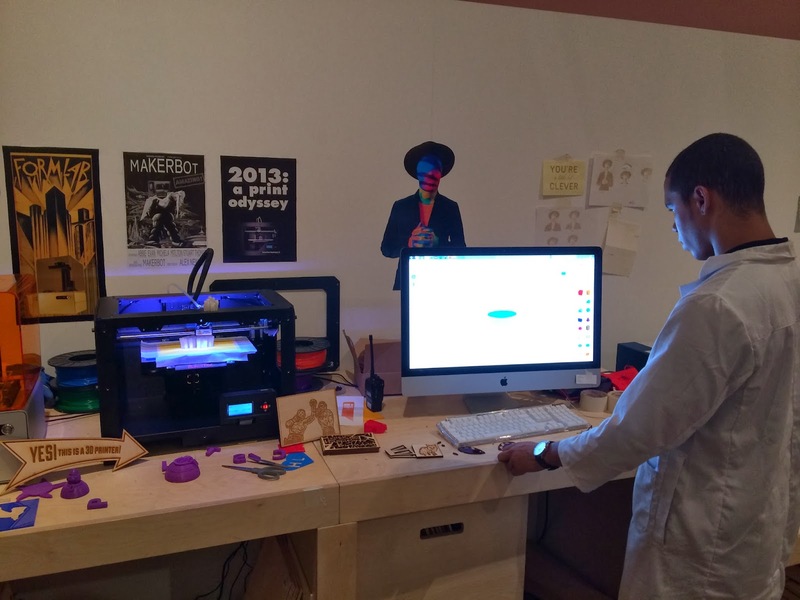 A lot of the technologies that were referenced were actually on show, in the museum’s making lab. I finally got to see a Makie.me doll in the flesh. 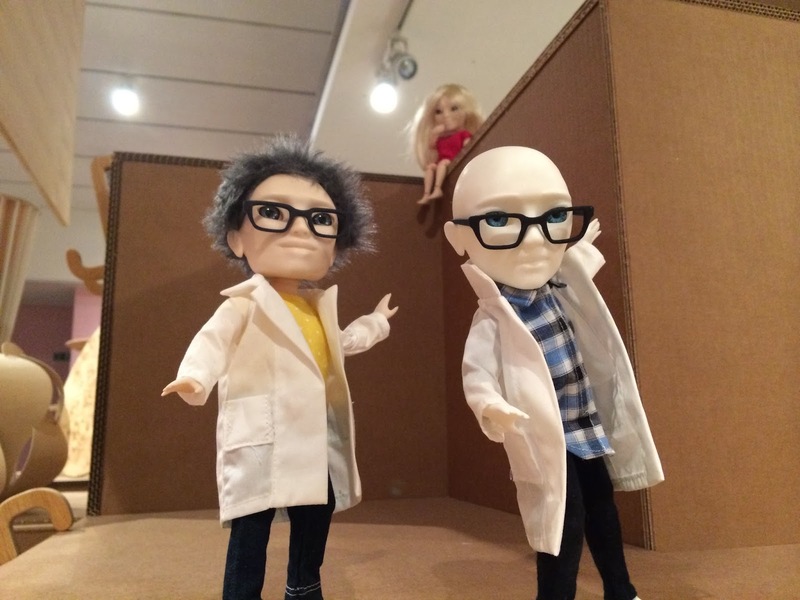 They’re pretty scary looking, but it’s amazing the level in which you can now customise a doll before they’re printed for you. It’s not only small batch manufacturers that are embracing the potential of mass customisation – some commercial brands like Adidas are including a degree of customisation in products too. The mi adidas range allows personalisation on a huge level – including the colour of individual elements, the materials and even the finishes. Manufacturing techniques can broadly be split into three categories. Additive is the process of adding, layering and combining smaller elements. Subtractive is the removal of parts or elements from a larger object. 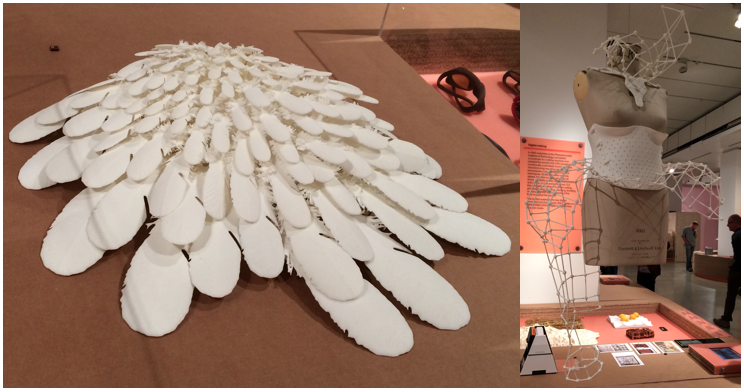 Transformative is creating an object by altering the shape or behaviour of a material. 3D printing is obviously an additive process – building one top of layers. 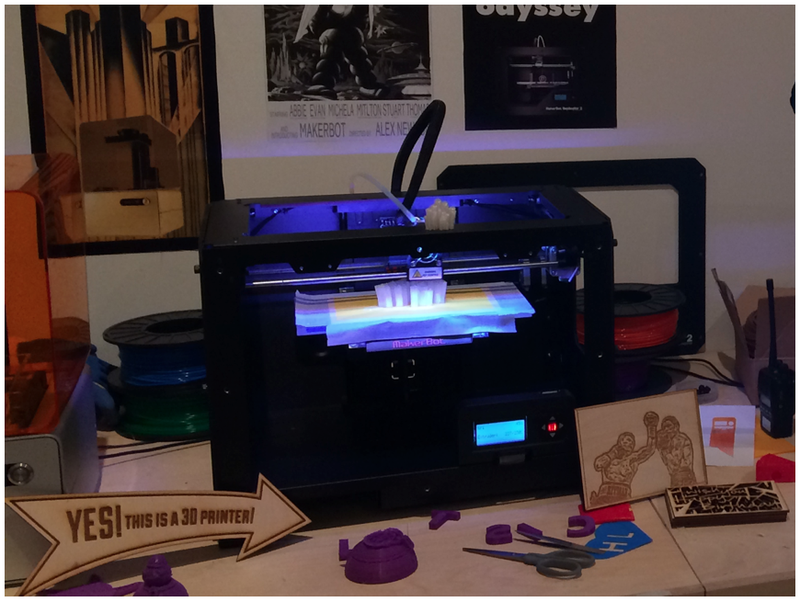 There are different methods of 3D printing – stereolithography, selective laser sintering, fused deposition modelling and material jetting. – Stereolithography – uses a laser to trace the first slice of an object on the top of a vat of liquid photopolymer resin (which changes its properties when exposed to light.) In this instance, the resin hardens – forming an extremely thin slice of the object. The slice is lowered slightly and the next layer is created until the object is complete. This has been available as a technique since 1984. – Selective Laser Sintering – A laser is used to trace the shape of an objects initial slice across a thin layer of granular/powdered material. After that layer has fused together, a new layer of powder is spread over the initial one and the process starts again. – Fused Deposition modelling – A coil of plastic filament or metal wire is passed through a nozzle heated to a temperature just above the material’s melting point. The nozzle traces out a shape, building up an object layer by layer. This method is used by the majority of desktop 3D printers. – Material jetting – A liquid photopolymer is emitted by an inkjet-style printer mechanism. After each layer is printed, it is exposed to ultraviolet light, causing it to solidify before the next layer is created. Sophisticated jetting processes emit different materials, allowing different types of finish within the same object. With a pro in charge of the system, 3D printing really can produce some really amazing structures. One of the videos in the exhibition featured someone from Digit to Widget (a 3D printer company in London). Interestingly, he said that a lot of their clients are using 3D printed techniques when they could be saving themselves a lot of time and a lot of money using alternative techniques. It’s not the only answer… there’s more than one way to skin a CAD model. But making more generally, will soon be a life altering revolution across the world. There was a little section on robotics in the room. The first use of modern robotics in manufacturing was the Unimate machine operated by GM in 1961. It was essentially just a large robotic arm that would follow step commands. 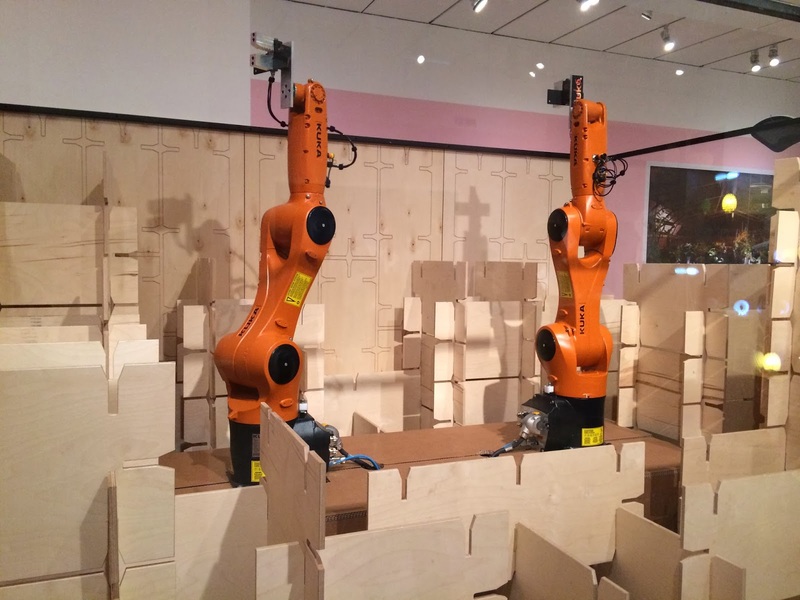 Innovative manufacturers can use robots to eliminate the need for traditional manufacturing tools like casts and moulds, a fundamental change in the manner in which products are made. 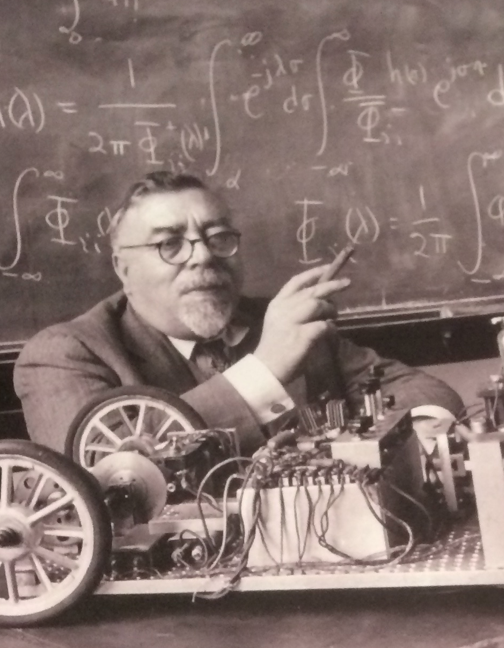 Professor Norbert Wiener was mentioned – a mathematician that became a visionary in the field of robotics. He published a number of landmark academic publications that predicted the emergence of computing and robotics, and explored the potential impact of the machine age on civilisation. A bit like James Burke now, I suppose. The collection is a selection of important works from the last 100 or so years – representing the different design disciplines that have had huge effects on the UK. There was some interesting debate with regards to ‘taste’. Reformers in the 19th century spent lots of time educating the public in taste, and these ideals also led to the establishment of the Council of Industrial Design in the 1940s. Sociologists state that taste and fashion are instead the means by which an elite set themselves apart from the rest of society. As soon as the masses catch up, the elite change the rules. This is the GRiD Compass – the first example of a laptop. 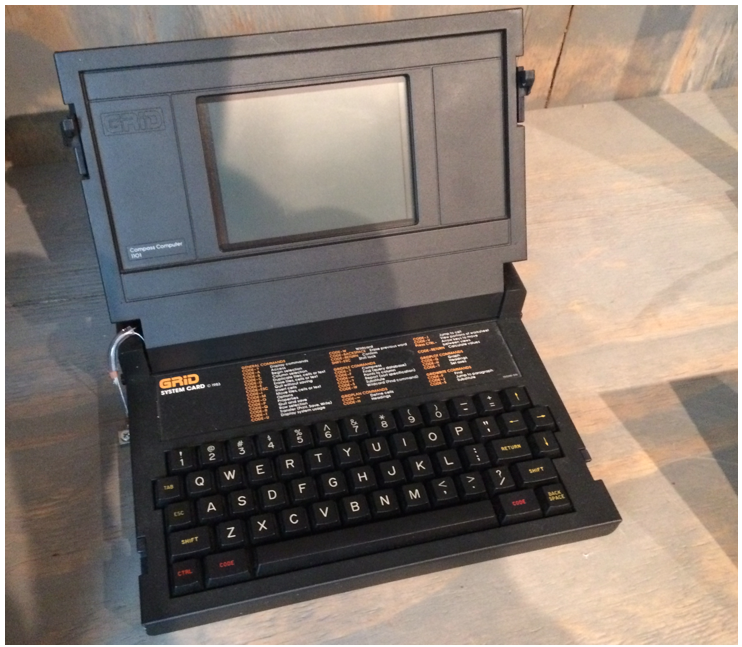 I loved the way Grid systems briefed the the designer (Bill Moggridge) – they asked for a computer that could fit into a briefcase. Simple as that. No weight or colour or design mandatories in the brief, no size jargon – just a clearly defined challenge. 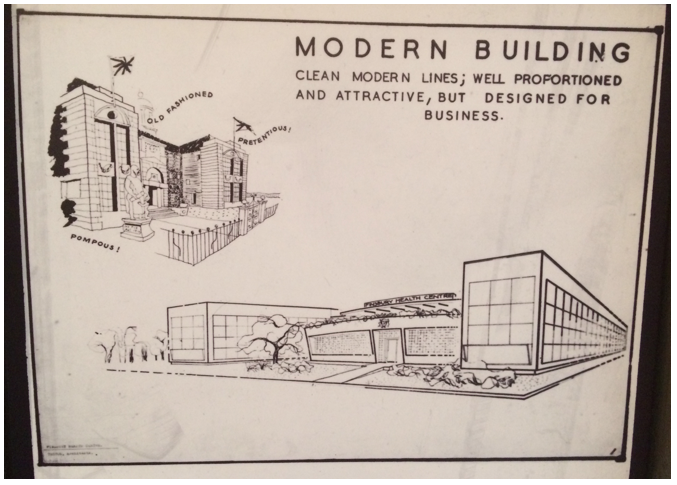 Modernist designers, such as Marcel Breuer featured heavily. What’s interesting about all of them is their ability to get other people to adopt their new designs. Creating a mass change in opinion or action is hugely difficult – but these designers managed to do it time after time. Perhaps it was to do with posters like these… Haha. 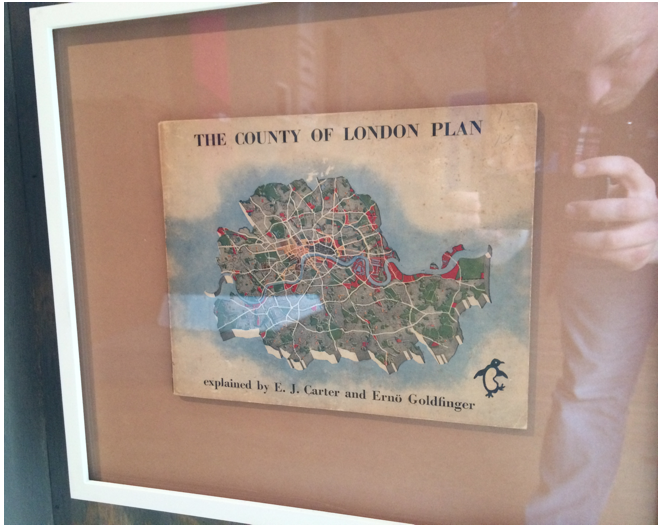 I was amazed to read that during WWII, plans were already underway to rebuild Britain. Even in a crisis, we’re a forward planning nation. As the war ended, the Government commissioned whole new towns that were planned and built to modernist design principles. 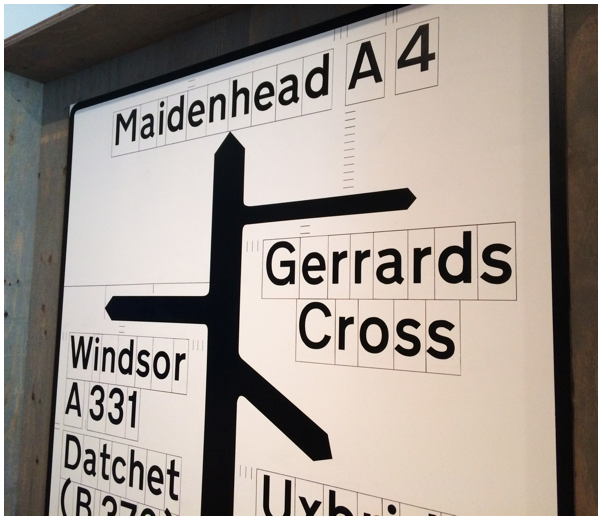 There was an interesting section on road signage and the guidelines that surround them. 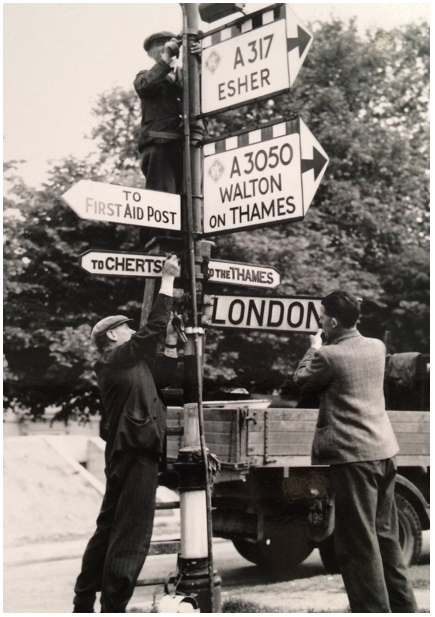 Before motorways were introduced, road signs were a bit of a mess. Each local council produced their own signs according to their own criteria. After WWII, plans for new motorways were created and the old system of signage was deemed inadequate for cars driving at speed. Jock Kinneir and his assistant Margaret Calvert worked on the redesign. The signs are laid out according to a really strict system, like on the diagram below. The size, positioning and relationship or all elements were determined by multiples of the width of the capital letter used. The size of each sign is therefore dependant on the information it needed to convey. This means that some signs end up really really big. 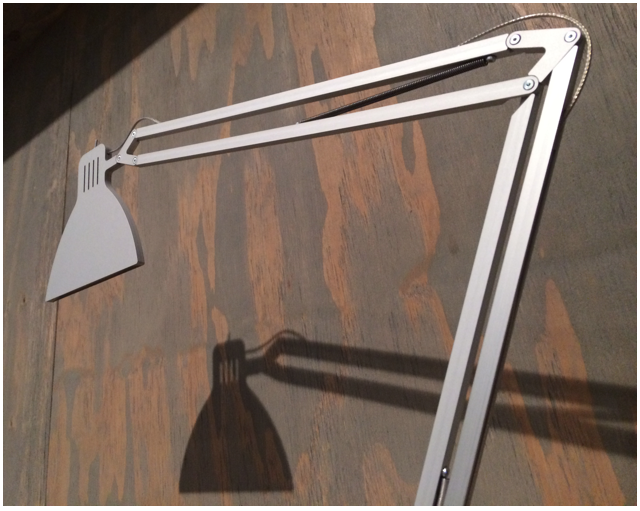 Another section focused on the Anglepoise lamp. 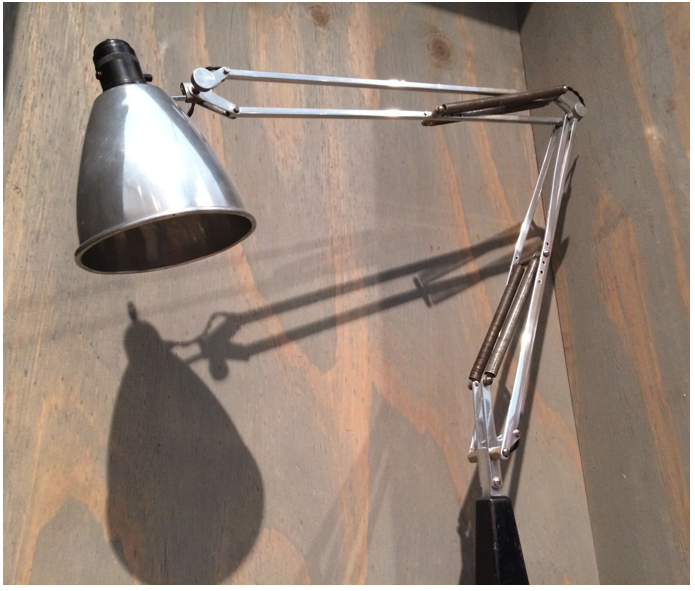 This is an early version of George Carwardine’s lamp in 1932, manufactured by Herbert Terry & Sons. The lamp has evolved over time – but the core design principles behind it stay the same. The newest innovation we saw was a flat one – very cool. There was also corridor section on the rise of plastics. 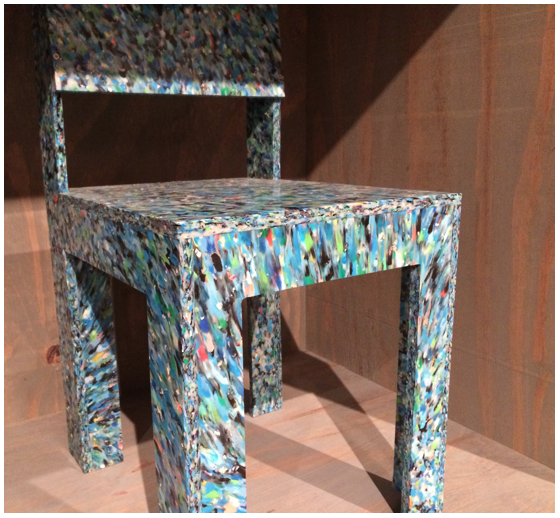 I loved this chair, made entirely of recycled plastic sheets. Fighting from the opposing corner, a TV set from Jim Nature questioned the proliferation of plastic use. 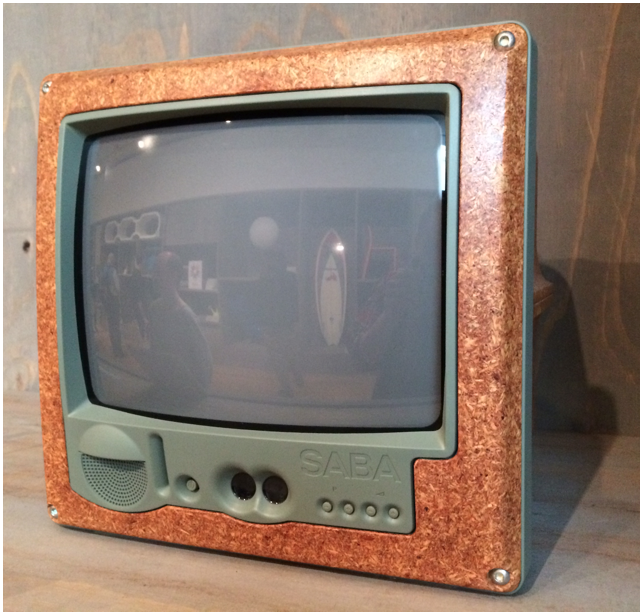 He created a TV using a high-density chipboard casing as a provocative and environmentally-friendly alternative to plastic. 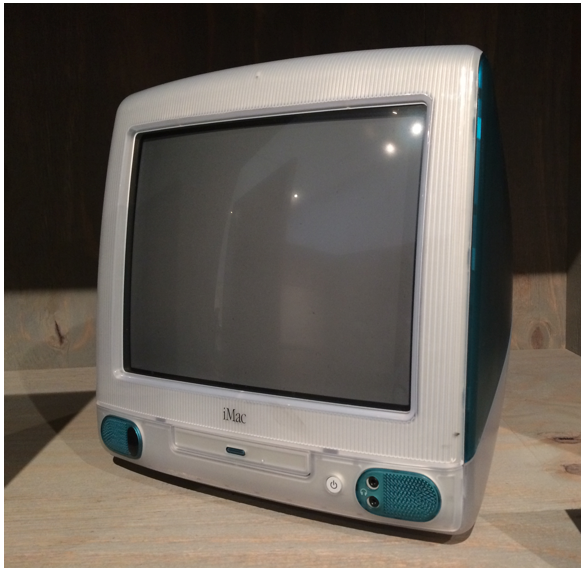 There was also one of the old iMacs on display. It’s amazing to see how much it’s aged over the years – I remember using one back at school and thinking it was the most futuristic thing in the world. Now though, the buttons and inputs look dated in comparison to newer Apple products. 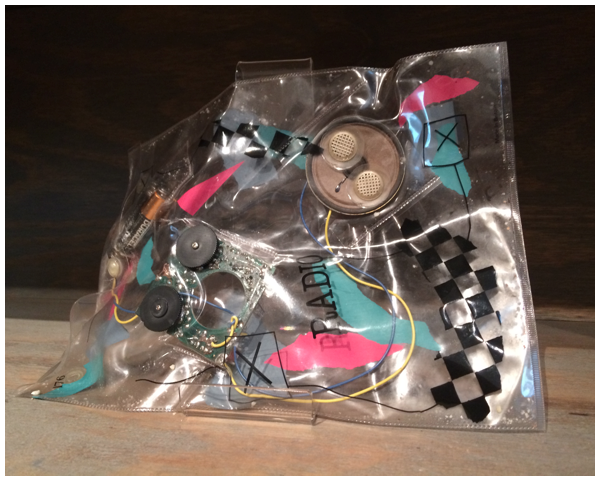 I thought this Radio-in-a-bag idea was quite a neat idea – it’s always nice to see the inner workings of products. 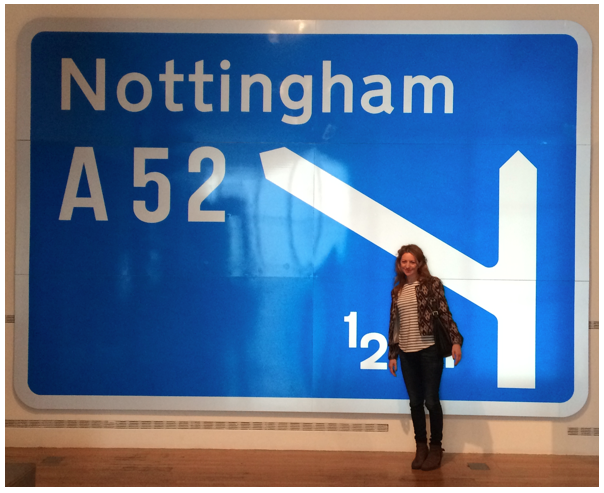 Top museum – well worth a trip if ever you’ve got a spare afternoon. #1. Small panes of glass were chosen for the windows in the iconic red phonebox significantly affecting the way it looks. However, they were chosen, not for aesthetic qualities, but because they were cheaper to replace. #2. The corporate guidelines created by Wolff Olins for London 2012 was pitched as ‘Prescribed anarchy’ – which allowed stakeholders from sponsors to venues extensive freedom of use. #3. Millions of Bic disposable biros are manufactured every day. #5. It’s hard to imagine, but plastic was rarely used as a material until after WWII.